There are only three women running for council/mayor and no minorities. Half the population of Revelstoke is female. So what’s up? Does the limited diversity in the council candidates bother you and, if so, what would you do to encourage women and minorities in town to stand for election? It bothers me only because we have such a culturally rich and engaging community that I wish that was reflected in our council; that is part of the reason I’m running for election. Diversity is critical for developing creative solutions that best suit the community as a whole. The first step to encouraging women and minorities to stand for election is to get them engaged in the dialogue. Until I started coming to council meetings two years ago, I had no idea about some of the issues facing the community. Once you become part of the conversation, it is difficult to remain a bystander. I will admit some of the meetings can be very dry, and there is a lot of government jargon that gets thrown around, but when there is a meeting to discuss a juicy topic like Development Cost Charges, the city needs to do a better job at engaging all members of the community. 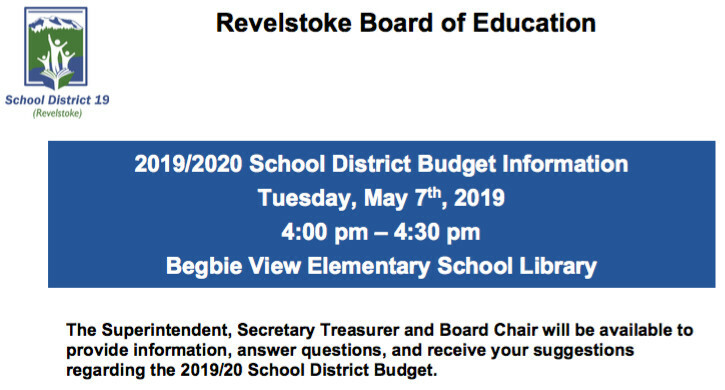 When it comes to actually standing for election, I’d like to see Revelstoke approve a bylaw permitting more generous parental leave for city councillors including a portion of the leave being paid. Edmonton has recently approved 26 week parental leave with the first 10 weeks fully paid. I think this is a great step in the right direction and Revelstoke should do everything it can to reduce the barriers for women to run for election. There is an incredible report put together by the City for All Women Initiative (CAWI) called, “Advancing Equity and Inclusion: A Guide for Municipalities”. This guide provides a number of excellent suggestions and policies that Revelstoke can use to further equity and inclusion in our communities. A city that reflects equitable treatment of all people is one that will attract more diverse candidates for election. Diversity comes through personal experience from all walks of life. Encouraging women or minorities to stand for election is a community task. Empowering these people to take a stand on your behalf must mean continued support throughout the term. What we see happening is the opposite of that. We need to empower and support in a context of care, and then more women and minorities take that step. Women and minorities are an integral part of our community. They contribute in countless ways through the business community, volunteer work, fundraising initiatives and so much more. 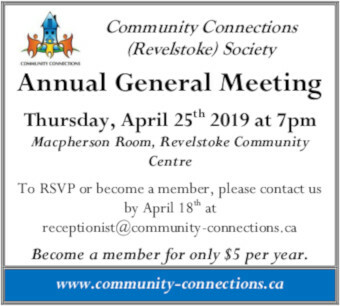 As Revelstoke continues to become more diverse, I strongly believe the representation of council will continue to evolve. Diversity helps all teams to come up with better solutions and the most important thing we can do to foster that is to continually reinforce that we have respect for all and that we truly value diversity. This is something we have to do at both the official town level and the individual in-our-lives level. Encouragement and support are key in both communication and action. For a long time, politics has been the realm of the older, male majority culture. When different ideas are brought forth, the typical reaction is something like “you don’t have the experience to understand why you’re wrong”. I’ve heard this line many times over my life. After seeking as much training and education as I can fit into my day, I’m learning that just isn’t true. My ideas at the time could have helped solve problems the patriarchy just couldn’t understand from their perspective. The point of being on City Council is not about being an expert in all things; it’s about providing perspective from the point of view of all citizens. You learn the details from the experts; through reading, presentations and discussion. I know I’ll have a lot to learn. I’m excited for it. I will be brave and engage in conversation with with various groups and cultures in our community; there’s value in those diverse views. If those voices feel heard, they’ll be more likely to be part of the process and get involved in all levels of the discussion. By having that range of perspectives, we’ll be more likely to move our city forward successfully. Council elections have traditionally attracted old white men because old white men run the system to the benefit of old white men. A prime example is the Council meeting times. Most of the population can’t attend meetings at 3:00pm. Start with modernizing the Victorian Era language and procedures to make it less formal and more suited to a town of our size. Holding Council meetings at the Rec Centre with the door open for all to come and go would also help opening Council to non-traditional candidates. Council has the opportunity to take proactive measures to address the stereotypes and uniformity that is too common in municipal elections. This can be done through strategic committee appointments. The City regularly advertises for people to come forward to apply for vacant committee positions. Usually there are very few applicants, and sometimes none. Council could do more to recognize and promote the presence of these key community volunteers and work they do. This in turn may encourage more active participants from all segments or our community. With this exposure and experience it may also inspire a broader spectrum of candidates in the next municipal election. The lack of female candidates really does bother me. In the last six months I have encouraged a number of women to run for council. Overwhelmingly the lack of time was the largest restraint. The second most common reason was that being on city council is the fastest way to lose friends and be generally disliked in town (see previous question). Committing the time required to be a councillor is, for most people, an act of financial sacrifice. It is a choice between a known career, and the chance at devoting a great deal of your time for little pay, and less thanks. In Revelstoke, men earn higher than the provincial average, while women earn below the provincial average. Given this disparity, and the low remuneration for a councillor, is it any wonder that a majority of candidates are older, financially stable men? It is unfortunate, because one thing that has been sorely lacking ever since I moved here in 2003 is the presence of a diversity of voices at the council table. This lack is only inhibiting our ability to grow as a community. Revelstoke expects a lot from its councillors. Perhaps it is time to pay them a living wage. The diversity of council candidates is what it is and varies from election to election. I would encourage residents of every gender or minority status to let their names stand for public office. I believe Canada to be a free country where everything is possible. It is disconcerting that nine of the twelve candidates up for election are male. The lack of minorities on the election slate would be an equal concern if our town were less uniform. On a personal level, I feel diversity makes communities richer, interesting and more livable. Dialogue makes communities stronger. Stereotypically males operate with a ”rah, rah let me fix it” mentality. Females lean toward more conversation, evaluation and consensus. Balancing the male/female participation on council seems an obvious. Encouraging women and minorities to stand for election won’t come from a specific action. It will occur if a community values everyone without bias. Our schools, institutions, political structures and daily life have to embrace diversity, support participation and celebrate inclusiveness.